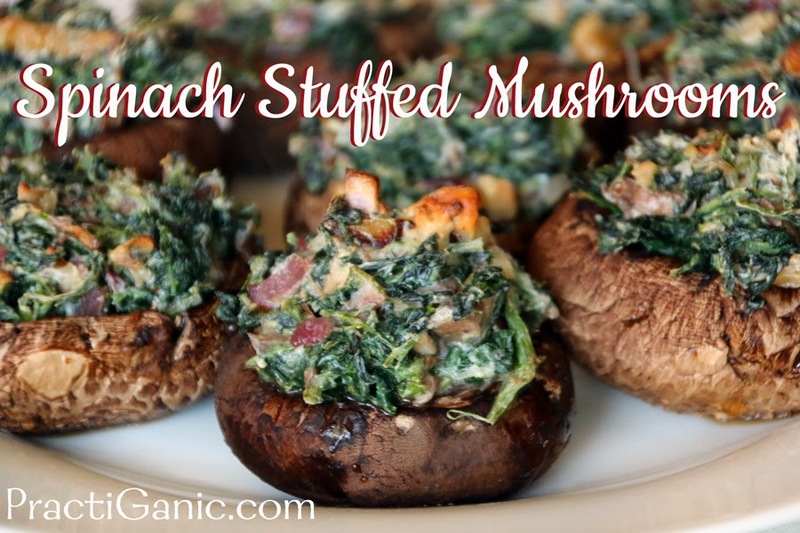 I can't tell you how many times I've made spinach stuffed mushrooms. 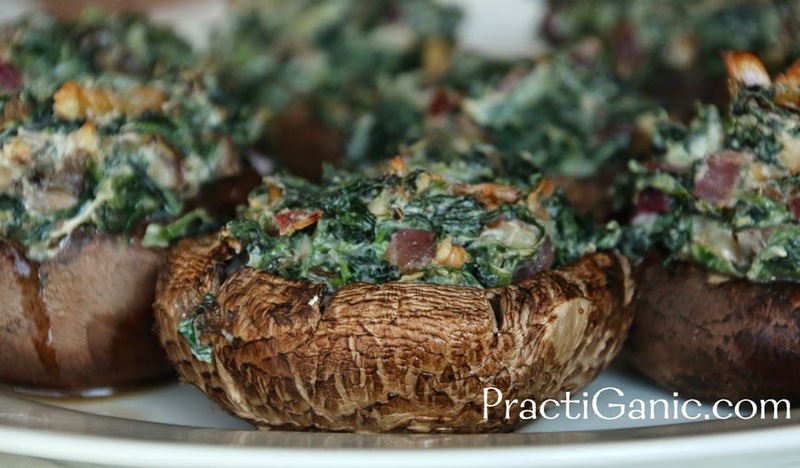 I like them as an appetizer and as a side dish (especially for pastas when I don't want to serve any starches or carbs). Sometimes they're good but sometimes the flavor just gets lost in the mushroom. I don't know why it has been such a feat to finally have a recipe I like, but everyone has his or her personal obstacles. And finally I can say, Ashley 1, Mushrooms 0 (okay, so mushrooms probably have a few more points than that but it's all in the past!). I loved the little bite of gorgonzola with the crunch walnuts. Enjoy! Sauté mushroom stems, onions and garlic in a little oil until most of the liquid is gone. Add in spinach, cheeses and spices and mix until the spinach isn't in big clumps and the cheese is evenly distributed. Place mushroom caps in a shallow baking dish. Stuff with the spinach mixture. Bake at 400 for 20 minutes. Let cool for a little bit before eating. There's nothing worse than burning your tongue on a piping hot mushroom right out of the oven! Those juicy bad boys stay hot!